Are you ready to create a carnival atmosphere with Gwinnett Great Days of Service? The Lilburn Library is hosting a fall carnival for its community and we want YOU to join in the fun and festivity as a FANTASTIC volunteer! This project will take place on Saturday, October 21st from 1pm till 4 pm (different times available!) 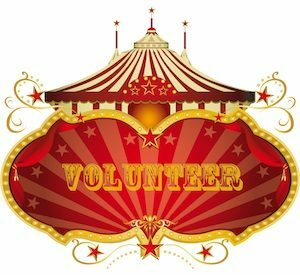 and volunteers are needed to help set up the annual Fall Carnival – tables and chairs, help with the games and other carnival activities. This is a great opportunity for families and individuals to get to know your local library first hand and join in the fun! * 16 years and older – YOUTH FRIENDLY PROJECT! *Project will take place rain or shine! If you are interested in taking part in one of the BIGGEST volunteer events in the nation, join us for Gwinnett Great Days of Service 2017 – access ALL the projects HERE!